Nowadays, I often ask myself what’s next. It’s logical that a person who has experienced the things that I have would constantly ask that question. I am from the District of Columbia, or what others would call Washington. 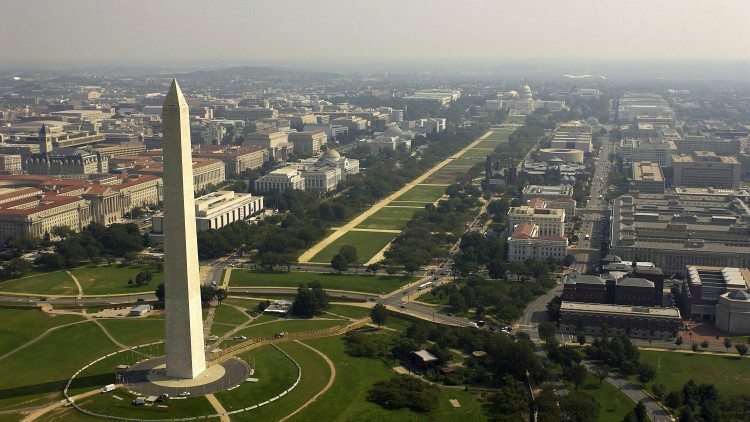 It is the nation’s capital and currently considered one of the most expensive regions to live in. I have been a part of this growth in some ways, but I have been exposed to a different side of the District. I attended its public schools, walked its streets and have watched as whole neighborhoods transform — not always for the better in some cases. There are reports that people similar to myself have been leaving in droves. I have even heard the word “displacement” in some circles. What does that have do with anything you ask? It shows that over time that ideas—and sometimes physical landmarks—change. Change is the only thing that is a constant thing in this seemingly inconstant world. How can everything just be temporary? I’m not sure if temporary can be an effective way to combat instability. Poverty feels unstable. I have faced housing instability before. I can remember the tired but restless nights wondering if I would have a place of my own, only to have to hustle out of bed at 7 a.m. to wander the streets looking for basic necessities. It was an experience that seems unnatural. I was surrounded by structures with open doorways, but all had locked doors. I couldn’t pass through unless I did one thing or another. Many people must still live this way in our city. Since becoming homeless, I have become immersed in how the city is combating this social ill. From what I’ve gathered, there are never enough resources. As a native, it’s sad to see that many who have called D.C. their home through some of its worst days are now treated like they don’t matter. It’s as if it were not those same people who made these landmark changes possible. Sometimes I feel like i don’t matter. It’s only when I look at constantly empty buildings that I feel this way — it makes me wonder why people can’t live here. I saw how my parents became homeowners, they worked hard and were able to make those advancements in their lives. I someday look to make the same advancements. Today the streets seem far away. I don’t go to the same places or do the same things. I get to sleep in without someone knocking on my bed telling me to get out. It’s a great feeling, but i still do not feel stable. The environment around me doesn’t seem stable. And through it all, we see money being spent. produce a model of housing stability for people who feel the same as I do. Housing is a human right, and there are humans dying of many complications directly tied to instability. Even though I feel strongly about the issue of homelessness, I know I have also contributed to the situation that the District is in. I could have been a landlord and participant in the city’s social programs that house the poor. The housing I secured was produced by a person of this nature, the type of person I very much would like to be. Certainty or uncertainty, which would I choose? Certainty. Every time.